You have probably heard about the four basic operators. 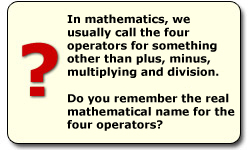 Most calculations that we do in math are done with one of these types of operators. 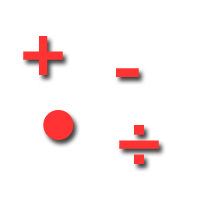 This area in mathematics is called arithmetic. The word arithmetic actually means the art of calculating, and we could consider the four operators for an art, couldn’t we?